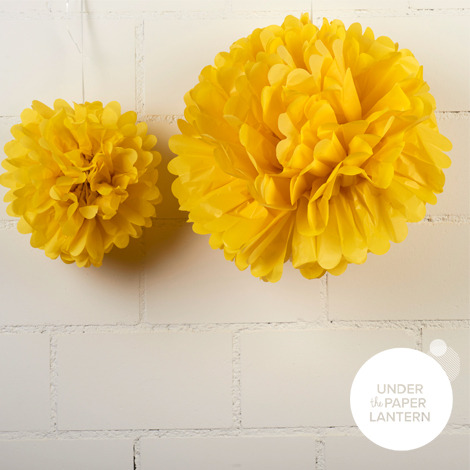 Our PomPoms are made of light and colorful tissue paper. 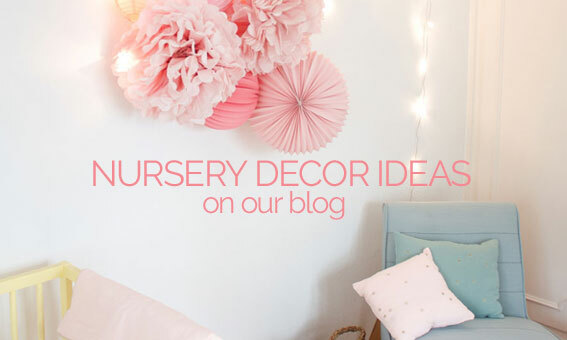 They arrive flat-packed with a length of white satin ribbon ready to be fluffed and hung (check out our video instructions). 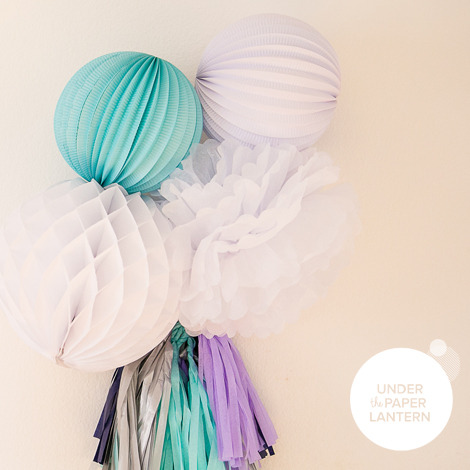 PomPoms are a gorgeous addition to a beautiful party’s decor. 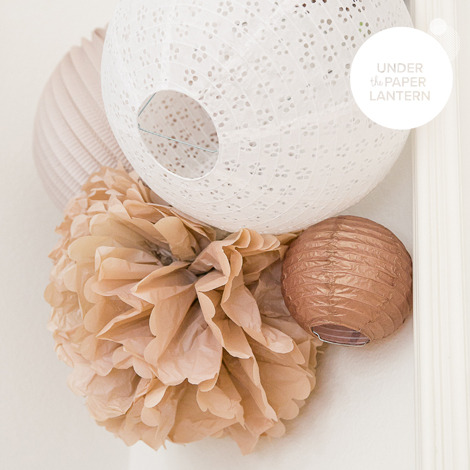 They also look great in a grouping of lanterns hung in a bedroom or nursery.